Wat Umong, (or ‘tunnel temple’), definitely one of Chiang Mai’s most unusual and interesting temples, is set in forested grounds near the foot of Doi Suthep. Why Wat Umong is special ? Wat Umong (complete name: Wat Umong Suan Puthatham) is a 700-year-old Buddhist temple in Chiang Mai, Thailand. The temple was built in 1297 by King Manglai of the Lan Na dynasty. Of particular interest is a replica of the Ashok Pillar similar to the one at Vaishali with four lions and a wheel at the base and an additional larger wheel on top that acts as an umbrella for the lions. A similar pillar is also available at Sarnath Museum. The four lion head is adopted as the National Emblem of India. Wat Umong is unique in that the resident monks live in a very natural setting, and occasionally feed the deer that live in the area. It also is possible to practice meditation at Wat Umong and to learn from the Monks. What to explore at Wat Umong? How to get to Wat Umong? 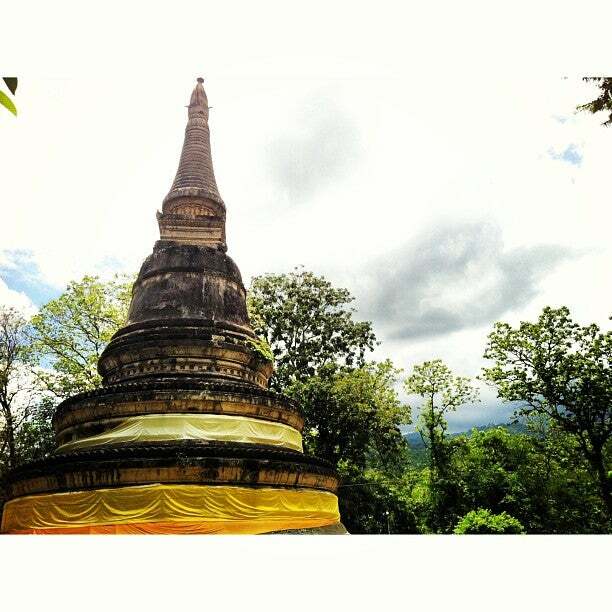 The Wat Umong is located just West of Chiang Mai city near Doi Suthep mountain. The temple is found about 1,500 meters South of Suthep road, just West of the Chiang Mai outer ring road. The most comfortable way to get there is by private taxi. Most hotels can book one for you, the fare is about 250 Thai Baht one way. Another way is by songthaew, a converted pick up truck with benches in the back. Flag down a songthaew that does not follow a fixed route (usually they are red), and negotiate a price with the driver. Fare is about 70 Baht per person, one way. A tuk tuk or samlor bicycle taxi (very slow) taking two people should cost between 100 and 150 Baht, one way. If you are interested in joining meditation sessions, enquire first to make sure the sessions are in the English language. More info can be found on the Dhammathai website. Every Sunday between 3 and 6 pm, Dhamma talks are held in English at the Chinese pavilion close to the pond. Monks talk about Buddhism and there is an opportunity to ask questions. Be aware that the tunnels you explore have low ceilings and you will be bent over the entire time. In the forest on the temple grounds is a pond with catfish, ducks and turtles waiting to be fed. Food can be bought from one of the vendors at the grounds. Make sure to get a blessing from the monks with an offering. You will actually get a legit water blessing, not just a string tied around your wrist like at tourist spots. Wide open spaces around the temple to spend time. Plenty to see and read along the way. Walking in the tunnels is a unique experience. Otherwise, the temple is pretty common. You'll appreciate the huge trees on a hot day. 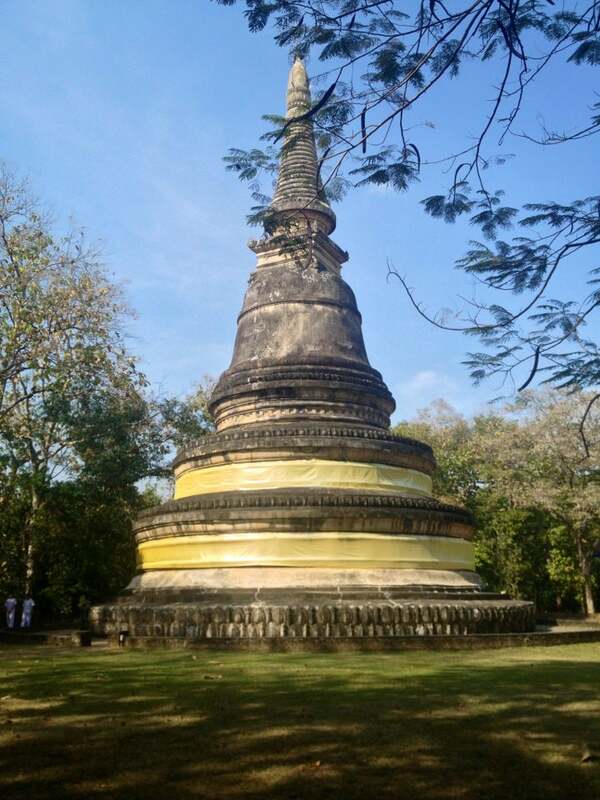 Many temples in Chiang Mai have hundred of years unique history. Wat Umong (Temple of Tunnel) is definitely worth exploring. The temple and the main stupa is on the small hill. Under the stupa is where the tunnel is. There are plenty of literature to read about why the tunnel was built in what era of the country. The tunnel is very unique. It is used to house all Buddha images including the main one like in the ceremonial hall of any temples. Need a car for this temple because it is a little out of the city.